If eating a big steak is giving you digestive problems, you may do better eating a hamburger instead. Even though ground meat and steak come from the same animal, the additional processing of the ground meat may make it a little easier to digest. A 2013 study published in the American Journal of Clinical Nutrition investigated the differences in digestive rates between ground meat and a steak in a group of older men. This study found that the ground meat not only digested faster, but it also did a better job at increasing the amount of protein circulating in the blood compared to the steak. This may mean that protein from ground meat is more bioavailable than protein from a steak. It's important to note, however, that this study was small and included only older men, and results may be different for younger adults and women. Digestion starts in the mouth when you chew the ground meat or steak into smaller pieces. Due to the grinding, ground meat may be quicker to chew and swallow than the steak. From there, the meat enters the stomach, where the acid begins to break down the protein. 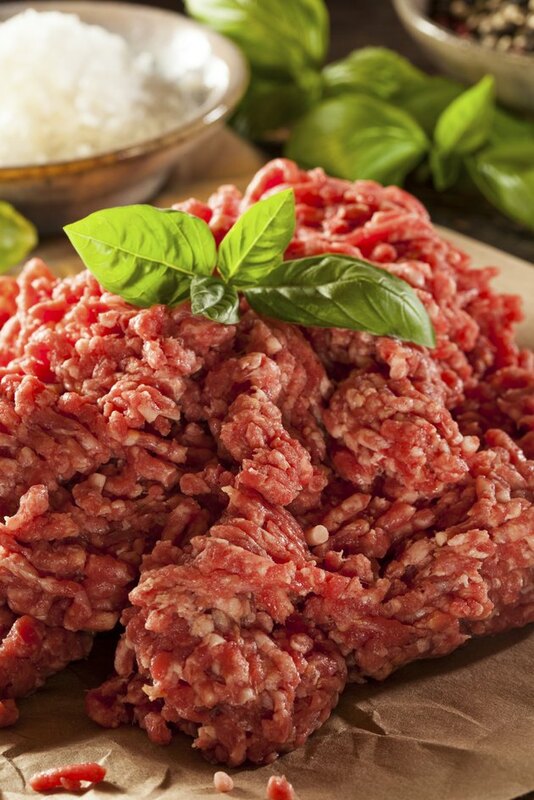 Because ground beef has more surface area, the acid is able to work more effectively to break down the protein. The meat then enters the small intestines, where protein and fat enzymes continue to break the meat down into amino acids, fatty acids and glycerol, which are then absorbed into your bloodstream. The fat content of your steak or ground meat may affect digestion. Colorado State University reports that the presence of fat in your small intestines delays stomach emptying, which may prolong digestion. The fat content in ground meat and steak may vary depending on the source. For example, a New York strip steak gets 29 percent of its calories from fat, while a porterhouse steak gets 59 percent of its calories from fat. Percent of fat in ground meat varies, ranging from as lean as 7 percent fat to over 30 percent fat. For digestion and health, it's better to go for leaner steaks and ground meats. Lean steak options include eye, top or bottom round or sirloin. Look for ground meats with the lowest fat content -- 93 percent lean or 7 percent fat. You can also ask the butcher to grind a lean cut of meat, such as eye of round, which you can use to make hamburger, meatballs or in any recipe that calls for ground meat.